Goddamn Electric Bill has two songs in the new film Like Crazy, which just premiered at the Sundance Film Festival. One song, Pull the Lever (the first track in our music player on the right), is from the new GDEB album Jazz. The film sold to Paramount so check back for a release date. GDEB will release Jazz on February 8th in vinyl, CD and Digital formats. Details will be posted soon! If you happen to live in the San Francisco Bay Area, stop by and see the local premier of the Film Douchebag on Friday, October 22nd (San Francisco) and Saturday, October 22nd (Berkeley). The film features music from Goddamn Electric Bill’s new album Jazz (vinyl on pro.con). The film will be playing around the country this month—you can check for local showtimes on the film’s website. 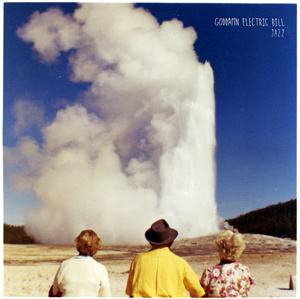 New Goddamn Electric Bill Vinyl Release on Pro.Con! Pro.con is excited to announce that Goddamn Electric Bill’s new album Jazz will be released on vinyl and CD on Pro.Con. The vinyl release is now funded and is moving into production. Check back for updates. The first of the Pro.Con hand poured split 12″ records will be coming out soon: Pro.Con Dubplates, Vol. 1. It will feature The Beat Broker and Dunedin Dunedin with artwork by Osvaldo Trujillo. To learn more visit the New Releases page. The new pro.con site is done. Subscribe to our RSS feed to stay informed on new developments and releases at Pro.Con. Much more to come!